Doug Casey of Casey Research recently conducted an interview where he spoke about Bitcoins to Louis James, Editor of the International Speculator. In the interview, Casey makes a few claims that had me yelling at my computer screen. It is important to remember that Casey has a vested interest in promoting a gold standard. His company, Casey Research, specializes in precious metals. So his analysis of any currency system that is not predicated on metals is obviously going to be somewhat biased. L: Do they have value in themselves? Doug: There’s the rub; I don’t see that they do. 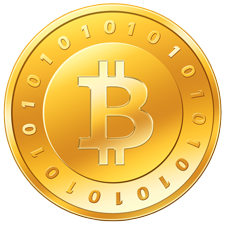 Bitcoins are just an electronic abstraction. They can’t be used for anything else, nor are they made of something that can be used for anything else. They are like one of those knots in a string that disappear if you pull hard enough on the ends of the string. They are not backed by anything at all. Like government fiat currencies, they are a con game, functioning only as long as people have confidence in them, regardless of whether that confidence is well placed or not. So Doug, what you are saying is that if gold could not be turned into jewelry, it would not be a money? What industrial uses does gold have outside of being ornamental? Sure it has some minor industrial uses such as plating for electronics or a few other obscure things such as radiation shielding on astronaut helmets, but other than that, the vast majority of gold that is actually used in some physical way is nothing more than pretty trinkets. The trinkets themselves are totally useless as far as improving the conditions of humanity are concerned. Of course, the answer to my question “what uses does gold have besides being ornamental?” is obvious to Doug, and everyone else, its primary use is to act as a store of wealth and as a trade facilitator. The market has a need for a trade facilitator which allows the division of labor to take place. The market has a need for a medium to store wealth. These market driven needs impart value to gold faaaaaar above what it would normally be valued at for industrial or ornamental uses alone. Gold is not worth $1600 an ounce today because it can be turned into pretty trinkets or plate astronaut helmets. The market imparts value to gold because of its properties of divisibility, fungibility, scarcity, and recognizability. These properties allow gold to act as a store of wealth. The market also imparts an additional tiny fraction of value to gold due to its industrial and ornamental uses, but these uses are secondary, not primary. I would argue that gold would still be worth at least $1500 an ounce today even if it had absolutely no uses outside of acting as a money. Their main value seems to have been as a speculative medium. Worse, actually, in that they are – or were – based on finding a “greater fool” to pass them on to, for something of value. Since I’m sure we can all agree that gold is not worth $1600 an ounce today because it can be turned into pretty jewelry, I have to ask why Doug’s statement shouldn’t also apply to gold? Isn’t the current price of nearly $1600 an ounce due to speculation about the dollar’s solvency? If gold is not valued at $1600 for its industrial or ornamental purposes, then what is driving its price so high? Let me put this another way; if people had total faith in the dollar and the dollar was not being inflated, would gold still be valued at $1600 dollars an ounce? Of course, the answer would be a resounding NO. It would be NO because if people had total confidence in the dollar they would not bother looking for alternative mediums to act as a store of wealth. Thus, we can say Doug’s claims about Bitcoins being nothing more than a “speculative medium” also apply to gold in the same sense. Casey is essentially making the claim that because Bitcoins have no uses outside of acting as a money, they are inherently worthless. I have argued against this in previous articles and I will repeat myself here. This is a fallacious argument. To claim Bitcoins are nothing is like claiming your operating system is nothing, therefore it is worth nothing. Clearly an inordinate amount of time and resources went into the development of your computer’s operating system. The time and resources that went into the development of the software constitutes “something”, which is obviously more than nothing. Software can have inherent properties that give it value in and of itself. In the case of Bitcoins, they are imbued with value by the free market because of the properties they have that allow them to act as a store of wealth and as a trade facilitator. Those properties which allow Bitcoins to act in this specific capacity are exactly the same properties that gold has which allow gold to act as a store of wealth and as a trade facilitator. Again, even if gold had absolutely no other uses besides sitting in bank vaults as ingots, gold would still be a money. L: …the whole concept of barter is trading in goods and services directly, not via media of exchange. Doug: Well, barter chits were supposed to encourage trade among those who used them. And they were also a tax dodge, since no official money changed hands. That was a major incentive for using them. But they all dried up and blew away, and the people who wound up holding them had nothing. Sort of like when the Argentine peso collapsed ten years ago. The provinces decided to set up their own currencies, but they weren’t backed by anything either, and they all dried up and blew away as well, leaving those who held them holding an empty bag. The Argentine peso collapsed because it was inflated to the moon by a corrupt government. Comparing Bitcoins, which can not be arbitrarily inflated and are not controlled by any government, to the Argentine peso is ridiculous. I have to assume this is purely Casey’s bias rearing its ugly head. It is a straw man conjured up to demonize Bitcoins as somehow being vulnerable to the same fate. Also, as far as I know, the barter clubs that Casey is referring to are still in business. See here, here, and even from Lew Rockwell’s own website here. In fact every report I’ve read on them says they are gaining traction. I haven’t seen an article saying club chits had suddenly become worthless. I suppose there may have been a few clubs that folded and went out of business, but that is the market making a determination about a specific club, not the chit system in general. Just like any market driven currency, the chits have value because the market says they have value. Casey goes on to make much ado about GoldMoney, which he claims meets all the same functional requirements as Bitcoins. I disagree. GoldMoney, like e-gold, has a central point of control that can be corrupted or shut down. The gold holdings can be confiscated and the gold transactions are not anonymous. Bitcoins have no central control and are virtually impossible to shut down in the same way BitTorrents are virtually impossible to shut down. Further, Bitcoin wallets can be encrypted, duplicated, and hidden to the point where they are virtually impossible to confiscate. Further, GoldMoney doesn’t act like a currency in the fact that you can’t directly send your gold holdings to a retailer for goods. In summary, Casey’s arguments against Bitcoin are weak or misleading. His arguments, in many respects, can be applied to gold as well. Casey should rethink his logic before making public pronouncements about the efficacy of Bitcoins as a currency. I hold Bitcoins as well as silver. My silver holdings currently outweigh my Bitcoin holdings by a large margin, so in theory I’m shooting myself in the foot with my silver holdings by writing this. I personally think there is room for both Bitcoins and metals in this world. I foresee a day when metals are used like cash for physical transactions and Bitcoins (or another market driven electronic currency like it) are used like check-cards for electronic purchases, with currency exchanges facilitating conversion between the two.